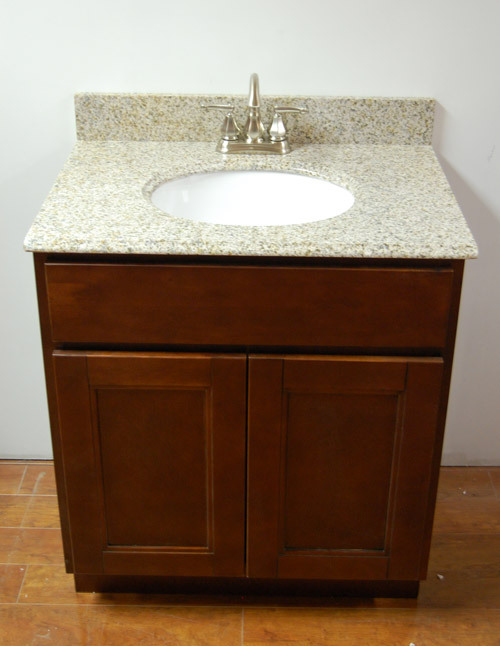 The Bordeaux Shaker bathroom vanity collection offers a very classy look with a rich cherry stain. It comes standard with 6 way adjustable hinges, dovetailed drawers and undermount full extension soft close drawer glides. This feature provides a nice smooth close when the drawer is closed. 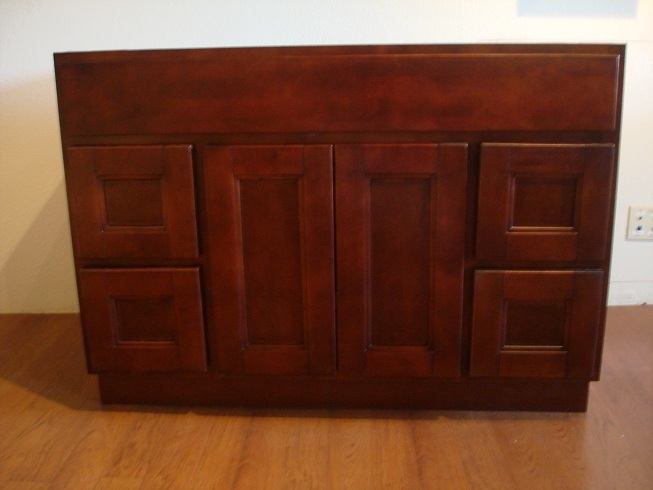 With the full overlay shaker style doors and rich stain color the Bordeaux is timeless and elegant.